30th Anniversary - Tan Yan Kee Foundation, Inc.
​Greetings to all our kababayans. In the tradition of caring for the Filipino people, we are celebrating the Tan Yan Kee Foundation, Inc.’s 30th year of promoting and conducting programs in education, social welfare, and health services. For three decades, TYKFI has sponsored thousands of scholarships, helped upgrade teachers’ skills, constructed school buildings and facilities, mobilized the HOPE Caravan for calamity assistance and spearheaded other social welfare initiatives. 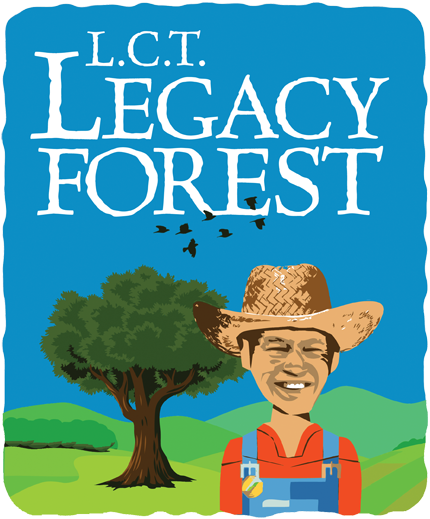 In an effort to restore the environment and strengthen our community, the Foundation also began the LCT Legacy Forest Project two years ago. The goals of the project are to mitigate the effects of climate change and to develop a satisfying, productive life for the less privileged, especially in calamity-prone areas. The communities that suffered the recent calamities are slowly picking up the pieces and doing their best to go forward. However, there is something more important for the people to rebuild than homes and businesses, and that is their hope to earn a decent livelihood in a healthy environment. Through our Legacy Forest Project, we commit to provide opportunities for a sustainable livelihood that will help restore the dignity of our fellow Filipinos in the affected communities. In 2014, Tan Yan Kee Foundation, Inc. initiated a three-year plan entitled “Rebuilding the Community and the Environment” which sought to implement strategic and sustainable programs in areas most vulnerable to the effects of climate change. The plan includes reforestation activities, housing projects, training and livelihood programs that help encourage Filipino families in the depressed areas to become more productive and enjoy a better quality of life. During the first year, TYKFI potted over a million seedlings and planted 120,000 seedlings of various species on 240 hectares of land in Quezon and Laguna. In 2015, the Legacy Forest farmers were able to grow and nurture a total of 635,660 seedlings in Sta. Fe, Nueva Vizcaya and Carranglan, Nueva Ecija. During the planting period, the farmers planted 206 hectares of fuelwood and 73 hectares of timber for a total of 279 hectares in Carranglan, Nueva Ecija. Among the wood species planted were ipil-ipil, narra and anchoan dilau. Furthermore, the Foundation also implemented the planting of mangroves in Brgy. Manocmanoc, Boracay Island and Brgy. Las-Ud, Sta. Cruz, Ilocos Sur. ​This ambitious goal of reforesting thousands of hectares of denuded land is only made possible by the work being done in the seedling nurseries. The new TYKFI nurseries located in the provinces of Nueva Ecija and Nueva Vizcaya are maintained by local residents, providing income for them and their families. Once planted, these reforested areas need special care and attention, and so provides another opportunity for livelihood generation. Forest caretakers also provide the stewardship and protection of patches of natural forests on a total of 285 hectares of land where wildlife including deer and wild boars still roam and are expected to grow in number with the successful reforestation project.